Andrei Kurtuy, cofounder of online resume startup Novorésumé is on a mission to end the multiple-page resume. 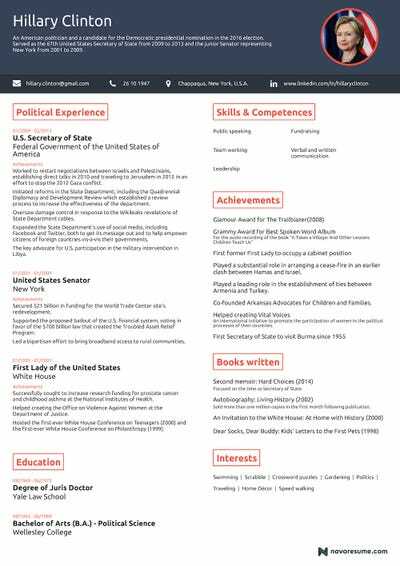 His advice for job seekers is that “less is more.” To prove his point, he’s created sample resumes for various famous people with long and illustrious careers. If a one-page resume can be done for these folks, it can be done for you, too. For instance, Novorésumé did a tongue-and-cheek one-page resume for entrepreneur extraordinaire Elon Musk. It’s now done the same for presidential candidates Donald Trump and Hillary Clinton. 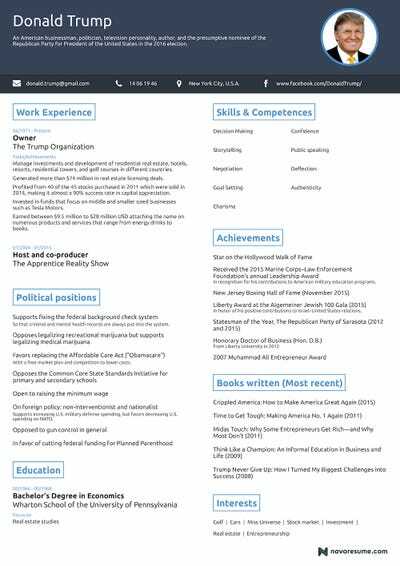 If you look carefully, they slipped in a few zingers with these resumes that you would not want to emulate on your own. Clinton’s resume was sent to us before she clinched the nomination, so it doens’t mention her history-making achievement of being the first woman to land the presidential nomination of a major political party. 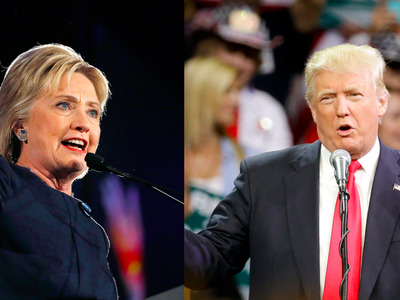 It does include this zinger line: “Oversaw damage control in response to WikiLeaks revelations of State Department cables.” Unless you are applying for a job as a public relations specialist, you might not want to point out a time when you had to perform damage control for a leadership role you were in. Still, these resumes offer a two-column design that show you never, ever, have to use more than one page.